Russian top security chief came to stifle scandal in Belgrade. Several Russian citizens were deported from Croatia for their participation in the preparation of terrorist acts in Montenegro , the Belgrade media reported, citing a source in the government circles of the country. According to the Russian newspaper Kommersant, Russia urgently sent to Serbia the Secretary of Russia's Security Council Nikolai Patrushev to stifle the scandal. Patrushev arrived in Belgrade on Tuesday. On Monday evening, Serbian Prime Minister Aleksandar Vučić unveiled the details of the plan of seizure of the state institutions of Montenegro after the parliamentary elections on October 16 "with the assistance of the foreign factor". Vucic confirmed the information unveiled by Montenegrin special prosecutor Milivoje Katnich abot the arrest of a group of citizens of Serbia, who were plotting to seize the parliament of Montenegro and fire on an opposition rally to provoke chaos and storm of the Parliament. 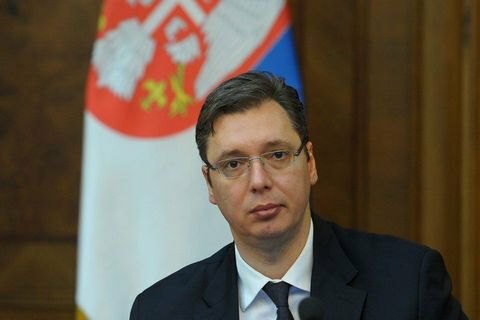 The Vučić also announced that the Serbian law enforcement agencies have identified "several dangerous groups" involved in the implementation of this plan, backed by "very serious people". "The people we arrested were acting in coordination with foreigners. There is overwhelming evidence that certain individuals have watched virtually every step of the prime minister of Montenegro (Milo Djukanovic) and informed the other people who were supposed to act in accordance with their instructions. We found 125 thousand euros in cash on them, a special uniform and other things. They used the most modern equipment to keep the prime minister of Montenegro under surveillance," said Vucic. The local media provided a detailed account of the "modern equipment" . According to Kommersant, Patrushev managed to hush up the scandal. The parliamentary elections in Montenegro were held on October 16. The night before the elections, Montenegro's police reported the arrest of twenty Serbs, who were preparing armed attacks on government and public institutions. Vucic said the people arrested were not connected to politicians in either country, but had ties to a third country and criminal groups. He did not name the country. Djukanovic's pro-Western party won the election, but needs coalition partners to continue its 27-year rule.